Home » Playtonic Games Announces the Spiritual Successor to Banjo-Kazooie! Playtonic Games Announces the Spiritual Successor to Banjo-Kazooie! Playtonic Games, an “indie” developer comprised of developers responsible for gaming classics like Donkey Kong Country, recently announced that they would be developing a spiritual successor to their smash hit Banjo-Kazooie. The Kickstarter for the new game doesn’t launch until tomorrow (May 1), but the first details have be released today. Specifically, we finally know that the name of the game is Yooka-Laylee! 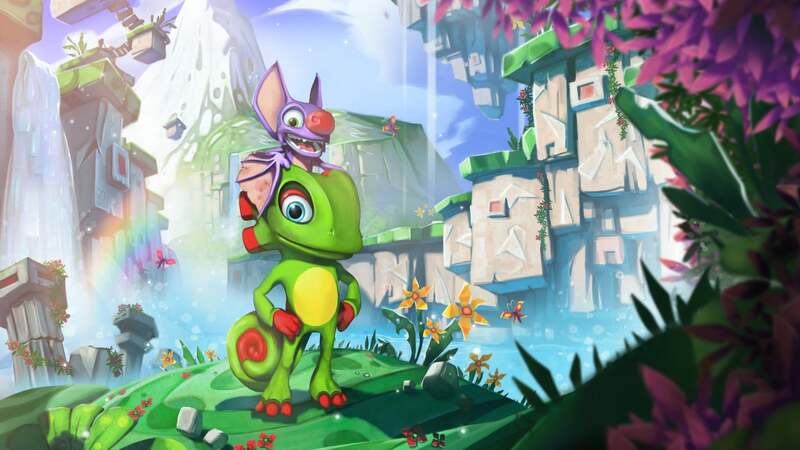 The main characters in the game are a lizard named Yooka, and a friendly bat named Laylee. The two of them will work together to explore 3d environments, avoid enemies, and find hidden items and collectibles. Yooka and Laylee will be a great team! We’ll find out more details tomorrow when the Kickstarter launches, but based on the image they have shared to the public so far we can tell this game is going to be adorable! Check back here at Engaged Family Gaming for more updates as the Kickstarter goes live!